Winter is on its way and it is now the time to start planning for the all-inclusive trip to the Caribbean. Now the question is, where should you travel. Will it be a family vacation or a couples trip. Maybe a group trip with a bunch of your girl or guy friends. Well whatever it is, we think we have the most amazing islands and the best all-inclusive resorts to go along with it. Jade Mountain Resort, a resort known to be not only the most romantic resort in the Caribbean but in the world. This adult only resorts offers an option for an all-inclusive package, where you can take advantage of most of the resorts amenities. The resort comes with 29 luxurious and spacious rooms all missing their fourth wall. Most rooms come with their own private infinity pool. Imagine waking up to the view of the sea and the majestic pitons every morning. No wonder it is known to be the best all inclusive resort in the Caribbean. Although there is no beach on the resort, it is just a short shuttle ride, a hike or a walk away to two beautiful beaches. Its best to go with the all-inclusive package, where you can take advantage of all the beach activities like snorkeling, and paddle boat, and eat in their open-air restaurant whiles you just take in the most amazing view your eyes could see. This is the perfect resort for that 10 year anniversary, or that girls reunite trip you have been talking about for so many years. So many memories to be created here, so let’s start planning your all-inclusive vacation to Jade Mountain. Sandals Royal Plantation sits right on the white sand beach of Ocho Rios, Jamaica. This adults-only all-inclusive resort comes with 74 ocean view rooms, a private butler and a fully stocked mini bar. Tired of the buffet style meals, this resort comes with your meals a la carte, so it’s not the same thing every day. Being a Caribbean Sandals Resort, you get the option to play at one stay at all with free shuttle service back and forth to the other Sandals on the island. Take advantage of the many activities available to you with your all-inclusive package. Spend the day at the beach and enjoy some snorkeling, paddle boat, kayaking, or if you’re not in the mood to get wet just as yet, you can play a round of golf, or hit the court with some day and night tennis. Don’t skip out on your workout on your vacation. This resort comes with a fully equipped gym so you don’t miss a beat. Enjoy your stay at Sandals Royal Plantation Jamaica and trust me you will never want to leave one of the best all-inclusive resorts in the Caribbean. The Zoetry Augua all-inclusive resort sits on the most beautiful white sand beach in Punta Cana. It caters towards adults with their many amenities. Great resort if you are looking for a couples getaway. Take advantage of the yoga classes, snorkeling, and horseback riding. It is also known to have the best spa in the Punta Cana resorts. So for a little extra pamper yourself for the day. There is also laundry service available to you so you don’t have to worry about running out of swimsuits. The all-inclusive package at this resort includes top-shelf liquor and tasty a la carte meals at 4 different restaurants. Each room comes with butler service, so you can just enjoy being spoilt for a week by someone else. There is also 24-hour room service so someone is always there to assist you. There are not many activities to do at this resort as it a very quiet resort meant for couples looking to relax and enjoy the perfect romantic atmosphere around them. So if you are traveling to Punta Cana the Zoetry Augua resort is one of the best all-inclusive resort in the Caribbean. The Fowl Cay Resort is unlike any other all-inclusive resort. It is located on the private island in the Exumas. This 28 villa style resort is very spacious and they each come with their very own ocean view. This makes it perfect for couples looking for a more quiet place to just relax. There is a boat provided for each villa for daily excursions. The 3 beaches are never crowded so, no need to worry about finding a spot on the beach. Included in your all-inclusive stay is a fully stocked kitchen with food and beverages. Many excursion to do on the island like kayaking and snorkeling, equipment is also included. Even on your own private island you still get access to the outside world with the free WiFi provided. You will also be given your own golf cart to navigate the island. It’s like you being on your very own little island. I am ready to pack my bags and head on over to one of the best all-inclusive resorts in the Caribbean. Will I see you there? Beaches Turks and Caicos Resort and Spa is a family-friendly all-inclusive resort. It comes with 10 pools and a pirate island water park. It is a kids dream vacation. There is also a shopping center for the adults so everyone can have a little fun. You never have to leave the resort if you really don’t want to. There are also 14 different restaurants at the resort so you can have a different flavor every night of the week. This resort is situated on one of the worlds best white sand beach, voted on by TripAdvisor. There are so many activities to do on the water to always keep your family busy. You can get into kayaking, snorkeling, windsurfing and scuba diving. There is also a kids club where can spend the day whilst parent can have some alone time and take advantage of the fitness center or the spa. Beaches Turks and Caicos is great for your family vacation, so get those bags packing and head on over. Sandals Barbados adults-only resort is known to be one of the best all-inclusive resorts in the Caribbean. This luxurious resort comes with 280 rooms, some of which have a swim-up access into the river style pool. There are 3 other pools to choose from so you never have to stay in one place. There are 12 restaurants where you can wine and dine your special someone to something different every night. Wanna be a little spoilt, some room does offer butler service which may be included in the all inclusive package. Like other Sandals in the Caribbean, land and water sports are also included in your package. Also, don’t forget to take advantage of the other optional services like the spa the duty-free shopping and candlelight dinner to surprise your special someone. Another great thing about this resort is that it is walking distance from the nightlife and from the airport, so you can party all night and not worry about missing your flight in the morning. Cocobay Resort in Antigua is known to be one of the most romantic resorts on the island. Being an adults-only resort it caters mainly to couples. There are many things you can indulge in on your stay at this luxurious resort. First off there are no televisions, so that gives you time to spend with your significant other. The cottage style rooms give it a feeling of being alone in your very resort. Some of the rooms also come with a plunge pool so you don’t have to leave your room for a swim. The outdoor style bathtubs really put a great touch to the cottage style. Get ready to enjoy your meals with buffet-style breakfast and lunches and a la carte dinners at the Rafters open-air restaurant. After having an amazing lunch, take a short 5-minute hike over to the Big Frreyes Beach. Hop on a Jetski and take a ride on the deep blue ocean, or have a banana boat tour. This beach is also famous for taking beautiful photos, so you can have memories to last forever. Are you ready to visit one of the best all-inclusive resorts in the Caribbean yet? Sandals Grenada is a luxurious all-inclusive adults-only resort that caters mainly to couples, but you can also plan your long awaited girls trip or your boy’s bachelor party. With so many activities to keep you busy, you will never run out of things to do. The beach activities include kayaking, windsurfing, and snorkeling. If you are looking for a more quiet time you can always just take it easy on the swings over the ocean, or lay down in one of the gazebos provided. Looking for fine dining, this resort comes with 10 different restaurants. The seafood restaurant faces the ocean so you have an amazing view whiles enjoying some fresh seafood. Don’t miss out on the optional services like the private tours and take advantage of a private cabana for some time with your honey. Such an amazing resort with so much to offer, are your bags pack yet? The Petit St.Vincent is an all-inclusive Resort like no other. It is located just on the southern tip of the Grenadines. There is no wifi or television at this resort, so get ready to have a peaceful stay with no electronics to stress you out. It comes with 22 cottages, some being one bedroom cottages for the couples or two bedroom villas if you are a group, all with gorgeous views of the ocean. The all-inclusive package at this resort comes with all the meals and non-alcoholic drinks, and some beach activities. There are two casual open-air restaurants at the resort where you can always count on your food being fresh because all the food is taken straight from the resort’s garden and there is always a fresh catch of the day. Lobster season is the most exciting when the guest gets to choose which lobster they about to divulge. Different in a great way for people just looking to get away from the outside world. I guess that why it is known as one of the best all-inclusive resorts in the Caribbean. I don’t know about you but I think we all need that from time to time. St.Lucia so nice, we are going to go ahead and do her twice. 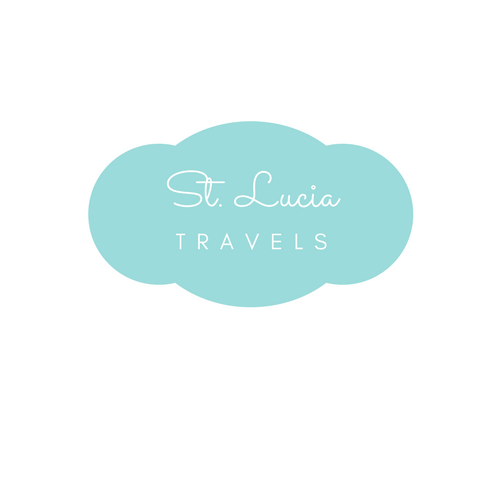 Located in the town of Gros Islet The Landings St.Lucia is an all-inclusive resort that is great for couples and families all together. Their apartment style rooms allow you to really feel like you are having the full island experience. You have a full kitchen and living room so you are free to make your own meals. Groceries are provided at your request for an extra fee. This beachfront property also comes with private hot tubs in some of the suites. Room service is available to you from 7 am to 1o pm. If you come as a family and you are looking for a few hours alone, there is also a babysitting service available to you at an hourly rate. There is also a complimentary kids club from 9 am to 5 pm so they can take the kids off your hands for a couple of hours. Hey, it’s your vacation too, so enjoy it as much as the kids are. The Caribbean is filled with so many beautiful islands, so I just plucked out a few of the best one with the best all-inclusive resorts. Take your pick and always feel free to let us know how you enjoyed your stay on any of these paradise islands.